Texas Extradition Laws are very clear, but incompetent and/or corrupt law enforcement and courts violate the laws. When they do, the accused person is stripped of basic Constitutional rights (as well as clothing). 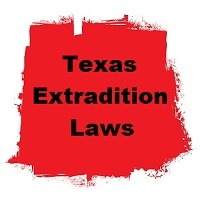 The purpose of the Texas Extradition Law website is to educate citizens, law enforcement, jail employees, courts, and bail bond services of the Texas Extradition Laws. This site is written by William M. Windsor, a victim of gross violations of the Texas Extradition Laws that caused him to be illegally detained, illegally incarcerated, illegally denied bond, and illegally denied discharge for 53 days. Bill Windsor is not an attorney, and this information is not legal advice; this is merely a copy of the Texas Extradition Laws with Bill Windsor’s research and experience provided. Bill Windsor is writing every county sheriff in Texas, every county district attorney, and is sending this to bail bond services across the State of Texas. If the Texas Extradition Laws continue to be violated, Bill Windsor wants to expose it and gather victims for a Class Action Lawsuit. Bill Windsor made this comment: "I hope this website will help others who are illegally detained, illegally incarcerated, illegally denied bond, and illegally denied discharge. If you know of someone being held in a jail in Texas pending extradition to another state, get this information to them, their attorney, the law enforcement agency involved, the jail involved, and the Texas prosecuting attorney involved. Demand that the law is followed. And email me so I can add the story to the website." If you don't know the story of Bill Windsor's illegal incarceration, please read it. Part 1 is the background to the story. Part 2 discusses when Bill Windsor was handcuffed and taken to jail from a hearing in a civil suit that he filed against the people who have viciously defamed him in what is the largest case of defamation in U.S. history. Part 3 details early days in jail and attempts to get someone/anyone to help; the conspiracy to keep William M. Windsor in jail begins to come to light. Part 4 covers events from November 26, 2014 through December 2, 2014 as the corruption of Judge Bob Carroll erupts in full bloom. Part 5 introduces Ellis County Texas District Attorney Patrick Wilson into the corruption picture. Part 6 leads to a December 19, 2014 at which Bill Windsor was ordered released by Judge Cindy Ermtinger. Bill Windsor is now wanted in Montana for two misdemeanors and three felonies for (1) filming a documentary that exposes government, judicial, and law enforcement corruption, (2) suing a Montana man in a Texas court, (3) publishing legal documents that contain the name of a Montana defendant in a lawsuit, (4) emailing an attorney for the Montana defendant with a legal filing service copy required by federal law, and (5) allegedly sending a tweet containing the name of the Montana defendant. Bill Windsor was never arrested, just illegally incarcerated for 53 days -- a political prisoner! Graphic copyright Friends of Bill Windsor, 2015. 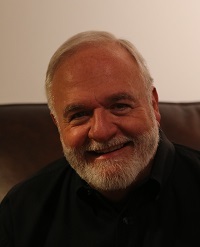 Photo copyright Friends of Bill Windsor, 2015.